The 13th annual Dipsea Hike fundraiser for Zero Breast Cancer, a Marin County-based nonprofit, has been scheduled for Sept. 26. Registration starts at 8 a.m., with the post-hike celebration to run from 10:30 a.m. to 2 p.m. The 6.29-mile hike, which includes beautiful Mt. Tamalpais trails, starts at Old Mill Park in Mill Valley and covers a variety of terrain — "the Dipsea steps, steep hills, dirt footpaths, wooded areas and some road walking," its website notes. Last year's event drew more than 500 participants — hikers, runners and teams — and raised more than $75,000 to support the organization's research and education programs. This year's goal is $100,000. The post-hike celebration and entertainment last year featured music from the UFO (Ukulele Friends Ohana) and massages. This year's? 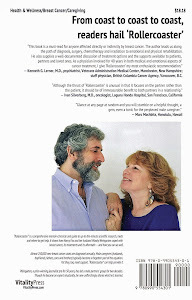 Come and find out. 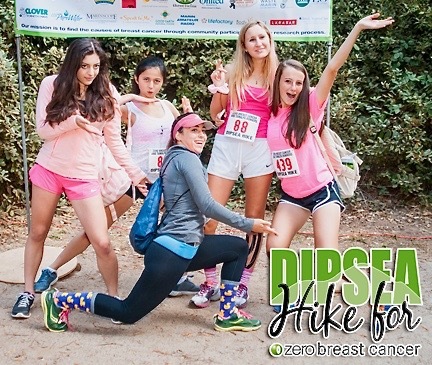 More information is available at 1-415-507-1949 or dipsea@zerobreastcancer.org. 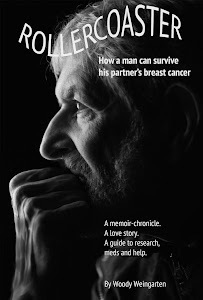 Not incidentally, under a headline that reads "Men caregivers need support, too, " the Zero Breast Cancer website spotlights "Rollercoaster: How a man can survive his partner's breast cancer," a VitalityPress book I, Woody Weingarten, have aimed at male caregivers.